Get it! Got it! Good! Now Share This Valuable Information With Other Teams Within Your Organization! Although we want to believe there has been some progress with diversity in the workforce, it is obvious more work still needs to get done. With March being National Women’s History month, SGA Talent, decided to launch a study to understand where women sit in the executive ranks of some of the biggest and best companies. Our goal was to gain an understanding of what is really going on with women in the workforce. So for starters, SGA Talent decided to map out and take a deep dive into the 100 Best Companies To Work For and then compare the numbers to The Fortune 1000 specifically. This study focused solely on 9 key functional areas within each company, whereby identifying the leaders, teams and comparing the results to the companies researched. This study, based upon our research efforts discovered the following; (a) women leaders tend to have more of a diverse team compared to their male counterparts (b) it became very clear the specific industries and functional areas that are currently well represented by women (c) women are underrepresented at the senior level and executive ranks of corporations and (d) these companies do have a qualified talent pool of women internally. Along with many data points, facts and figures, this report also includes the names of notable women leaders at the companies researched along with biographies. So Where Or Where Not Are All The Women Executives? Below are the number of women holding leadership roles at the 100 Best Companies To Work For. With 860 Executive Level Professionals Identified only 249 were women or 29%. As discovered in our report, there are many opportunities available to qualified women at some of the biggest and best corporations in America. Our research uncovered the fact that there is a large group of women employees at the lower levels of these corporations who present a very valuable talent pool of qualified professionals. Therefore with a little more effort and focus to close the gender diversity gap, corporate america can make this happen by making. it a habit to We look forward to discussing our study and our efforts with you. SGA Talent welcomes you to read our full report, just download your copy here. Women are clearly a big part of today’s workforce and ready to climb the corporate ranks. If a conscious effort to recruit and promote qualified women into roles which are currently male dominated, closing the gender gap can be accomplished. SGA Talent – Celebrating 28 years in business. Thanks for your support! SGA Talent- Proud To Be Celebrating 28 Years! SGA Talent is well known as a pioneer in the recruitment/research industry and we are proud to say we are now entering our 28th year. Since 1989, due to our clients we have long enjoyed a position of leadership in this research arena and most recently in the On-Demand Recruiting world as well. I want to take this time to thank my team, our friends, family and of course our clients, to whom we continue to have trusting relationships with. But of course, I must say that SGA Talent’s success is also due to the passion of our team. It was the passionate belief of our first employees to make our company, the company of choice by always putting the client first. These very same people today continue to lead, mentor, build teams and satisfy our client’s needs quickly and cost effectively. Just as we believed in 1989, we continue to believe and live by today; our clients are always right and only charge for what we did! We only want to satisfy our clients, keep them as clients and build a strong win-win continuous relationship. But, 28 years ago, even before we became a leader, we recognized that to maintain and sustain a successful company we had to truly become not just a strategic vendor but a value- added partner to our clients. Part of our evolution is due to that fact that we listened to what our clients needed and did so by expanding our service offerings from just recruitment research to recruiting, customized competitive intelligence and in 2005 created a telephone verified Research/Recruitment Database SGA ExecutiveTracker. Building off of our leadership in recruitment research, we set our sights on becoming a full service recruitment company. Today still servicing corporations and executive search firms our goals remain the same, deliver what you promised, do is quickly, cost effectively and be the strategic partner our clients want to work with. As we continued to evolve and as we listened to our clients by offering recruiting services, it became part of our offering to provide all of the data gathered during the recruiting process to our clients, it also includes data analytics. The recruitment research almost always at the core of this service and to this day without question our greatest strength as well as our advantage. As today sets a milestone for SGA Talent, we will continue to push the boundaries, challenge our team and if necessary get outside our comfort zones to deliver the best services and results to our clients. It remains our mission to be the very best at what we do. As I believe, our success can be measured, in part, by the adoption of our continued evolution, new service offerings and the many projects not to mention deliverables that we have spawned and contributed. But it goes beyond that too. It is all about our clients. Without them we would not be celebrating 28 years. As I continue to say to our team, we are playing in a very competitive space that continues to transform with new technologies, new tools, and the competition is getting stronger we must stick to our roots and be the value added strategic partner our clients need. Go beyond what is expected and be the expert and share with our clients what we know. Thank you everyone who I have had the privilege of working with and I so look forward to celebrating our 28th year. We are proud of what has been accomplished thus far, yet it is just the beginning. We look forward to continuing our strong relationships with our gold clients and ready to assist our new clients. We are here for you always. Happy New Year and happy hunting. Do you have what it takes to be a successful recruiter? Why are some recruiting teams more successful than others? Having been in the business for over 30 years, I have seen many recruiting teams succeed while others not so much. Sure the leader of the team matters, but the players matter just as much. As the year comes to a close, I want to share with all of you the top five characteristics of the successful recruiters I have dealt over the years. 2. Successful recruiters are knowledgeable. Successful recruiters understand the trends in the marketplace, the industries in which he/she is recruiting; the challenges of the role and of course the advantages of the role. In order to be top of your game, a great recruiter needs to be knowledgeable. 3. Successful recruiters ask questions, read, learn, and pay attention during the kick-off meetings. Most successful recruiters take the time to prepare themselves prior to these meetings. Being prepared before you recruit is a must. 4. Successful recruiters know how to choose the appropriate tools that will help them succeed. These tools should include social media and of course the telephone. Some tools are good for the research phase, while others such as the telephone AND the computers are the tools that can make the difference in recruiting the skilled talent the client deserves and requires. 5. Successful recruiters know how to proactively recruit. 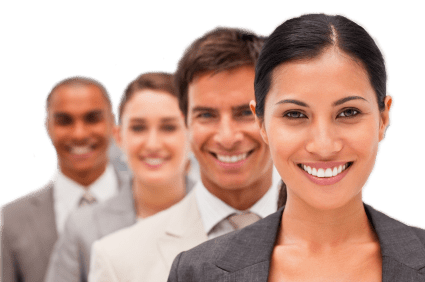 This requires the ability to write customized emails that get responses and use the telephone to reach out, network, recruit and vet exceptional talent that will quickly fill the pipeline with qualified candidates. Recruiting is a process. Not all recruiters are successful ones. Do you have the characteristics of a successful recruiter? Having an identified & engaged pipeline of ideal candidates ready to recruit from makes recruiting sense and helps with recruiting the in-demand, highly skilled talent everyone wants. It is six months into 2016 and there is no doubt that our industry has been experiencing one of the most challenging recruiting environments since 2008. Recruiting specific highly skilled professionals, not to mention the perfect candidate the hiring managers are seeking is requiring the recruiting team to have access to the entire talent pool to assure recruiting efficiency while ensuring a quality pipeline of candidates. In this day and age it is all about building awareness, creating strong professional relationships and networks that help us stay connected with the talent ourselves and the hiring managers’ desire. 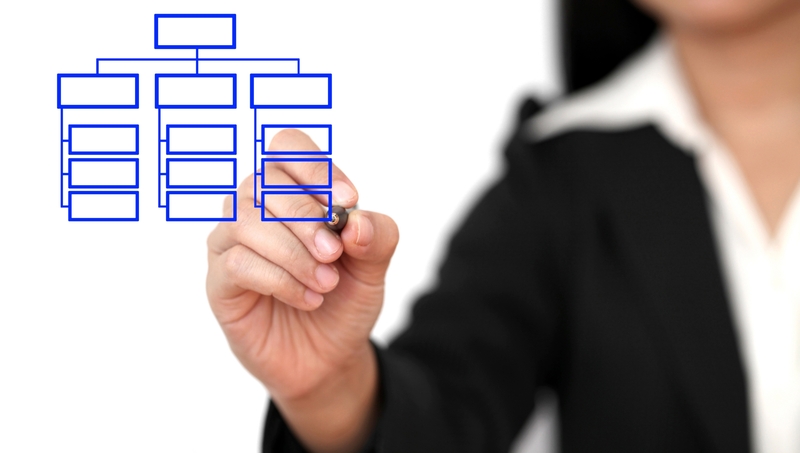 Having a fully identified and engaged pipeline of ideal candidates has multiple benefits. The main benefit is having the ability to recruit from an already vetted out talent pool of highly qualified and desired talent. This practice certainly shortens the time to fill the pipeline of qualified candidates which directly decreases the recruiting cycle time immensely ultimately saving time and money. This recruiting strategy is not just for the Fortune 500 companies but it is successfully being used by companies of all sizes who too have a hard time competing for the in-demand skilled talent. The process is simple to follow and implement. At first it may sound difficult to do, but the more it is done, you will quickly see how it creates recruiting efficiency. Start by identifying the professionals of interest, connect with them, create company awareness, express interest in staying in touch and continue reaching out. Don’t fall into the trap of your networks being one-sided, be sure to offer assistance and guidance when approached. Don’t be afraid to email, call, in-mail or text these professionals as often as you wish without being a pest of course. Try sending out emails sharing company news, a networking text or just to say hello and is there anything I can help you with will also do. Be sure you continue to express your interest in them. Recruiting requires building relationships, maintaining them, while just as important making sure to listen and respond to their requests, questions or comments. Make a friend, be a friend and build your networks with thein-demand talent. This all makes recruiting sense. As we all know, the talent shortage is not going away. Does your recruiting strategy and process include having a fully identified & engaged pipeline of ideal candidates? If not – you should definitely consider it. As always ….. If you want to learn how, let’s chat. One of the nicest things we can give our co-workers, family and friends are positive comments. Authentic compliments make people feel better about them selves, especially if you praise a job well done. The truth is that people want to be around positive people and definitely work with them. Little things such as remembering someone’s name, saying thank you, great job or just recognizing someone’s good deed is all you need to do. Obviously, accentuating the positive goes a long way, not to mention helps us pay attention to what is going on around us. Accentuating the positives can start by committing random acts of kindness, providing positive feedback, and being honest. 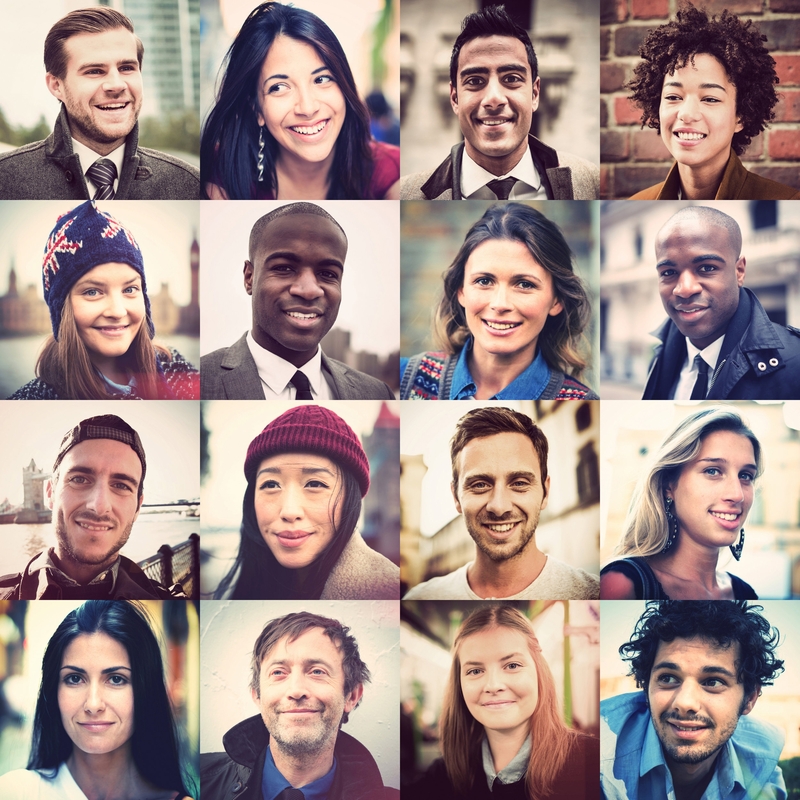 Accentuating the positive can help those around us prosper professionally and personally, often enabling others to feel good about themselves, allowing them be better co-workers and ultimately benefiting everyone, more broadly. In the workplace be the leader who engages in positive leadership. Focus on the team’s, and each individual’s strengths while having them capitalize on them. Be the leader who sets people up to succeed while allowing them to thrive. Positive leaders know how to create succesful teams, build positive work cultures, establish teams who are engaged, productive and produce positive results. Accentuating the positives has many advantages, for one it produces a happy and healthy workplace which in turn creates a successful organization. Producing positive results more often than not translates into happy clients, good customer service and a win-win relationship for all involved. Having a positive environment and workplace culture not only boosts moral but carries outside the organization directly to the clients. Happy team, happy clients. Be the leader who leads by being positive. Be part of creating a positive workplace and culture. Be sure to acknowledge good work and good behavior. It’s all about accentuating the positive. Just saying.. The telephone is not just a vehicle used to connect and recruit professionals, but also a great resource used to make important recruiting decisions. Someone’s voice, demeanor and how well someone communicates can either help or hurt a potential candidate’s candidacy. Therefore when you use the telephone to recruit, be sure to listen to what the person is saying and how they are saying it. When using the telephone to recruit it can be a great resource to learn about a potential candidate’s wants, needs, desires as well as an understanding of their long-term and short-term goals. Communicating via the telephone evokes an immediate personal response allowing a potential candidate to express emotions through their voice while being interactive and of course confidential. It is one of the easiest ways to build a relationship through speaking rather than an email or in mail. Recruiters can use a resume or profile as a door opener, but a conversation reveals a lot more about the person. Therefore using the telephone to recruit is a proven resource that should be used when recruiting and seeking out rock stars. Since everyone’s time is valuable be sure be mindful of this – don’t be afraid to ask the question; is now a good time for you to speak? Good luck using the telephone to recruit. Now go call and connect with future candidates before your competition does. Obviously matching a professional’s background to the requirements of the job description matters, however, just as important is the professional’s soft skills. Yes, soft skills do matter! Long term new hires need to possesses soft skills sets to include strong work ethic, positive attitude, and strong communication skills. Such crucial soft skills are the ones that count toward a professional’s overall success which in turn results in the company’s and team’s success. Having exceptional soft skills do matter! Having these skills help make an employee a better employee and a leader a better leader. Having the ability to trust, be trusted, problem solve, delegate, motivate and build strong teams are a heck of a lot easier if a professional has strong soft skills. Unfortunately way too often are these soft skills undervalued and even overlooked when evaluating a professional for a role. Moving forward, try to make it part of your interview process to evaluate a potential candidate’s soft skills because soft skills do matter. Let’s not believe or expect people know how to behave on the job and assume they understand the importance of being on time, taking initiative, being friendly, and producing high quality work. Just saying….. Celebrating a decade of excellence this enhanced version allows users to more quickly access and intuitively understand the professional backgrounds of potential candidates and networking contacts of interest. 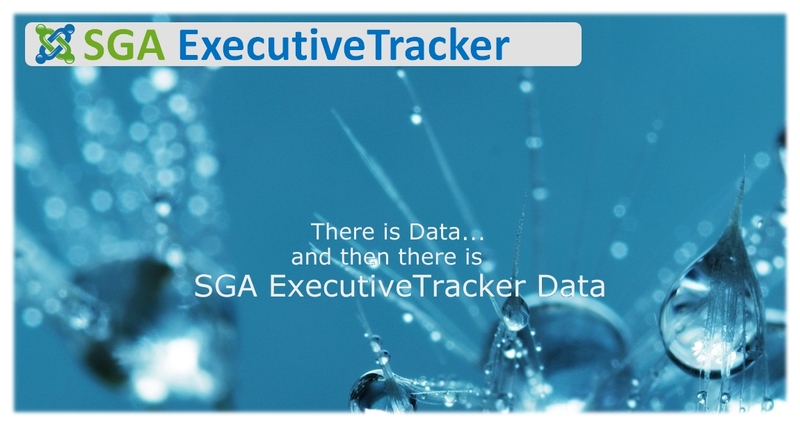 SGA Talent –Sheila Greco Associates LLC today announced their launch of SGA ExecutiveTracker LIVE. Originally launched in 2005, this enhanced version is the company’s response to the industry’s needs. Recognized as a premier on-line research tool, this “go to tool” once again is being praised by recruiters who hunt, source and identify passive candidates not just found on the Internet. “The re-launch of SGA ExecutiveTracker LIVE is just another way our company continues to evolve, listen and react to the changes in the recruiting industry,” said Sheila Greco, President of SGA Talent. Enhancements include the ability to view public profiles and data as it relates to each contact from within the tool. “The more user-friendly interface allows users to quickly find information that can help them decide if the professional is someone they want to connect with. 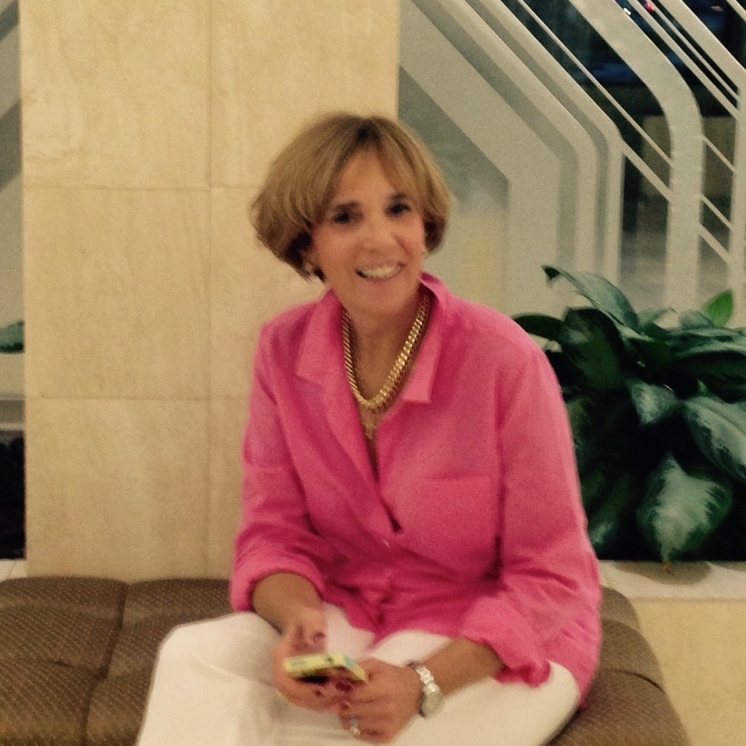 It also allows users to directly connect via email and LinkedIn with those professionals of interest,” said Sheila Greco. The result of these enhancements is to create greater recruiting efficiency compared to other tools. SGA ExecuitveTracker LIVE is used as a stand-alone research/recruiting tool and a complimentary tool for some. Either way it continues to speed up the recruiting process which in turn filling the candidate pipeline faster. Pricing starts as low as $139.00 per month per user. SGA ExecutiveTracker Live should be part of your recruiting toolbox. Headquartered in Amsterdam, New York, SGA Talent, Sheila Greco Associates LLC is one of the leading recruitment research and recruiting firms specializing in synergy services.